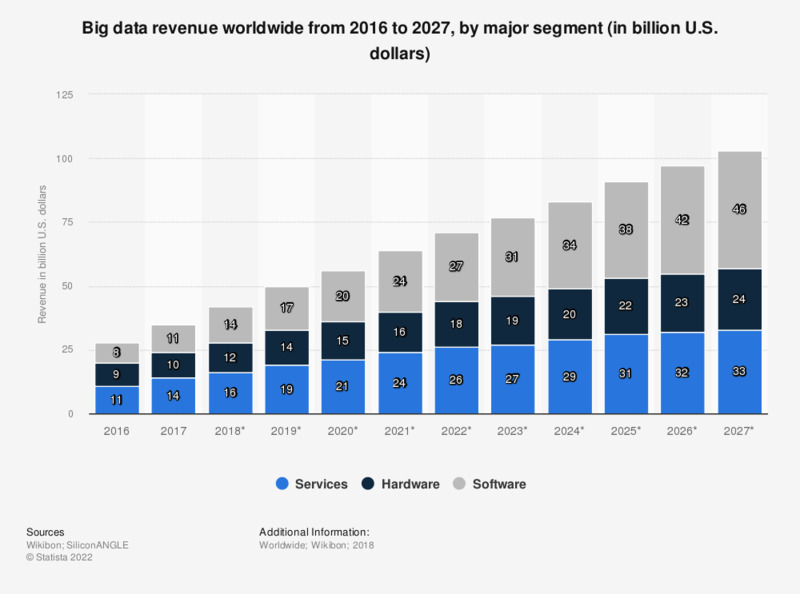 The statistic shows the revenue from the global big data market by major segment from 2016 to 2027. In 2018, the big data software market is estimated to be worth 14 billion U.S. dollars, while the market overall will be worth 42 billion U.S. dollars. * For this statistic, the percentages reported by the source have been converted into U.S. dollar figures and rounded.